WD's tune-o-matic roller saddle bridge. 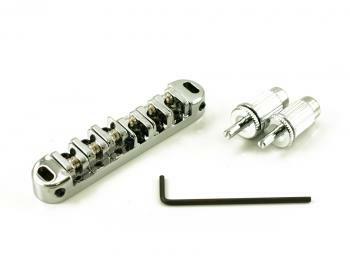 Get the best out of your tremolo tailpiece because the strings roll over the saddles instead of dragging and hanging up on notched saddles. Complete with large metric threaded studs and inserts. 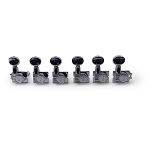 Stud top is equivalent to US small post size meaning you can use your original US studs.